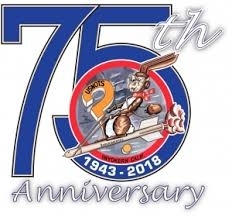 2018 marks the 75th anniversary of the Navy at China Lake and we are celebrating!! All hands are invited to join the party at the China Lake Experience set for Nov. 8 from 4-7 p.m. on Mirror Lake. This casual and fun event is open to all China Lake employees and their families, as well as community members who already have base access. There will be music, games, and a variety of food for purchase. Feel free to bring your own lawn chairs, and enjoy a relaxing evening with China Lake leadership, your co-workers, family and friends. Former NAWCWD and NAVAIR commander retired Vice Adm. David Venlet will help kick off the evening as the guest speaker. Questions may be directed to the NAWCWD Public Affairs Office at 760-939-3511.